So what the heck is a meme? A meme is an element of a behavior or culture that is passed from one individual to another carrying cultural symbols, practices, and ideas. On the web &mdash and in layman’s — a meme is one of the thousands of pictures with text that often spam your Facebook feed. 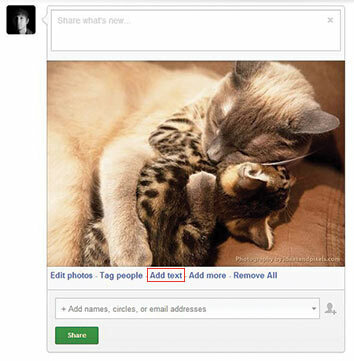 Google Plus has been channeling its inner child, and is now allowing custom text overlays to be added to images. You will now be able to create your own personalized memes on Google+. Once you have an idea, it is time for the best part &mdash finding your meme image! I absolutely love browsing through BuzzFeed for examples of memes and other crazy ideas. I suggest using one of your own images so that you can start your own viral meme. Cats are always a good canvas to start with, so that’s what we did! 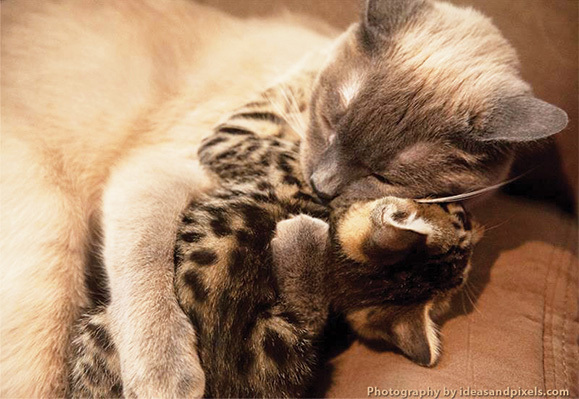 You can’t deny how adorable these casts are hugging (they belong to our owner)! 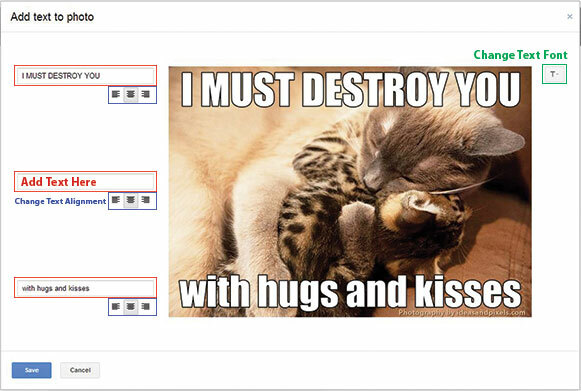 Once you have the image that you want to use for your meme, simply drag and drop it into your Google+ share box. After it is uploaded, click the “Add Text” icon. Don’t forget you can change the alignment and font options before you share your meme! With your new meme in hand, share it to the world! Who knows — maybe it will catch on and you will start a viral trend. 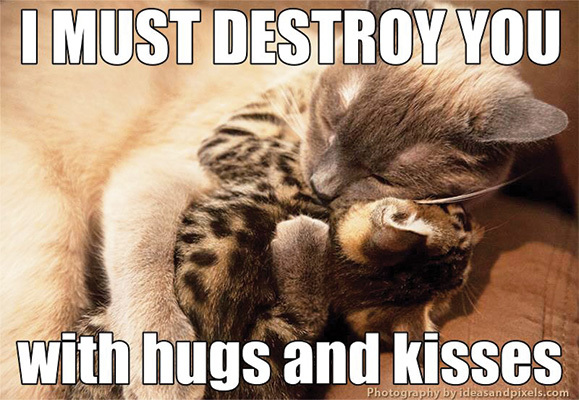 Below is our cute cat meme, and please, feel free to share it! Cheerio. Share Your Memes and Make Them Catch On!